While attending a charitable fundraiser recently I chatted with a professional knife sharpener. Here’s a man who sees a lot of knives, I thought. So I asked: who in Texas makes the best knives? “Knives of Alaska,” he replied. I’d never heard of it. Even if I had, I wouldn’t have guessed it’s a Texas product. The obvious name issue aside, their logo is of a (big) bear, and a a (big) snowy mountain range decorates their website. Texas has bears and mountains, but they’re little. Nevertheless, it’s true: Knives of Alaska is of Texas, so to speak, based in Denison, just a knife’s throw from the Red River. The connection to Alaska is traced to KoA’s President and Owner Charles Allen, who is a professional outfitter and all-around avid outdoorsman. While his family and corporations are based in Denison, Charles and his wife Jody spend a great deal of their time in Alaska. That’s in part because their other company, Alaska Expedition Company, organizes fishing, fowling, and hunting trips to the Driftwood Lodge on Alaska’s Tsiu River. I’ve not had the chance to personally handle any KoA knives, so my observations are limited. Regardless, my praise is confident: it’s hard to imagine anyone more qualified to make precision tools than folks who spend their time in the Alaskan wilderness, and I can’t imagine a better judge of such tools than a professional knife sharpener. Filed Under: Fillet you some bear. 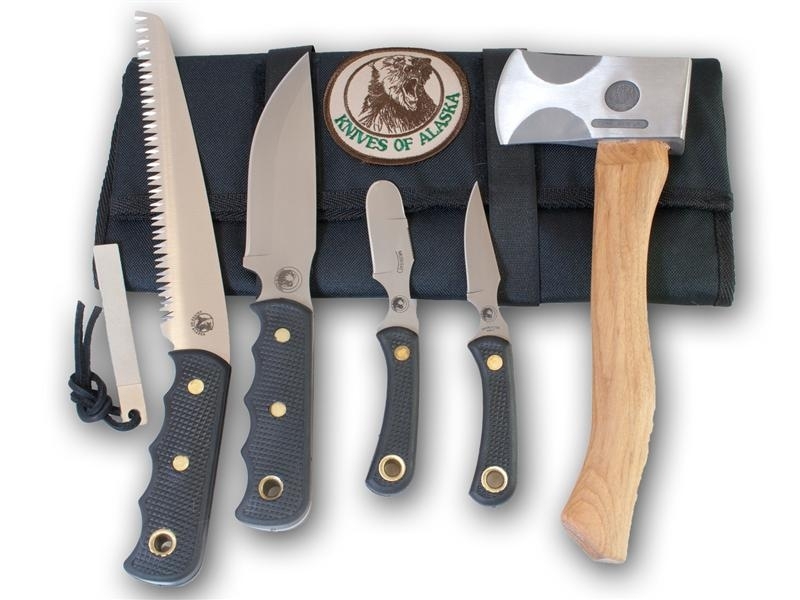 Visit Knives of Alaska: Here.